Today Lindsey takes on a tough one — the best flamenco in Barcelona! 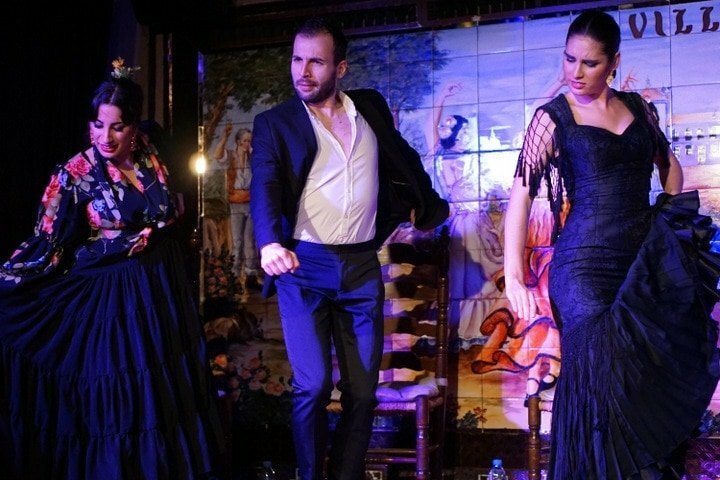 Despite the tourism boom, great flamenco in Barcelona does exist. Amazing flamenco in Barcelona does exist. Trying to find an authentic place to watch flamenco in Barcelona can be tricky. Nowadays, so many places get packed to the rafters with tourists. Often, visitors can’t tell the difference between high-quality flamenco and the mediocre performances these places often host. In fact, flamenco isn’t even native to Barcelona. It developed way at the other end of the country in sunny Andalusia! 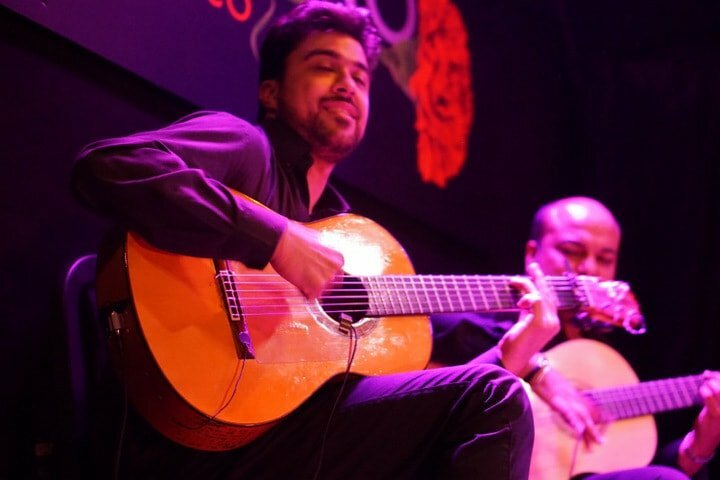 However, as many Andalusian-born Spaniards moved to Barcelona for work over the past few decades, they brought their storied tradition of flamenco along with them. As a result, good flamenco in Barcelona does exist. You might just have to look a bit harder! The following places may attract tourists (you’ll be hard-pressed to find a flamenco venue that doesn’t), but feature some of the best performers in the country putting on a show in small, intimate venues. Let’s go watch some incredible flamenco in Barcelona! 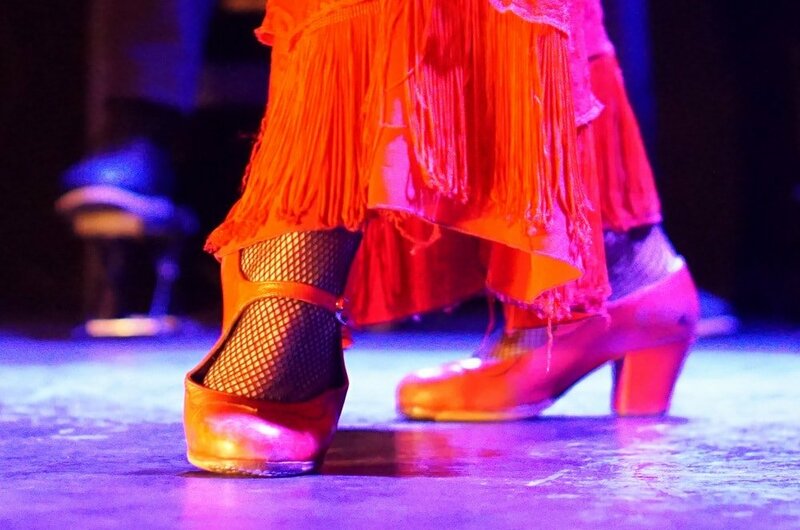 Remember: flamenco isn’t just about the fancy footwork! While dancing is perhaps the most well-known part of the experience, the art form is made up of two other integral parts: masterful guitar playing and tragically beautiful singing. The passion of a flamenco guitarist. This venue’s seemingly touristy location right on Las Ramblas might fool you. 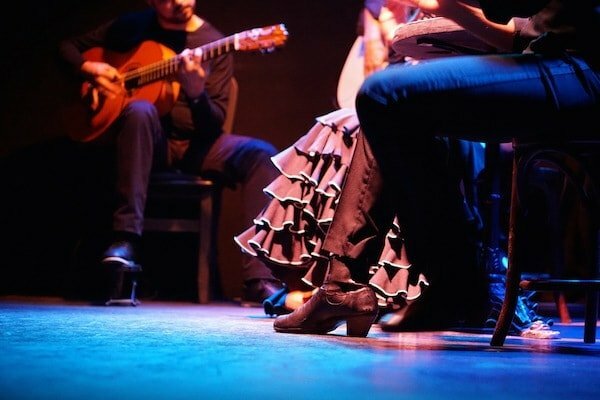 While its location does make it quite accessible for an international crowd, Tablao Flamenco Cordobés is pure Andalusian flamenco at its finest. Shows take place in a small, intimate venue inspired by the gypsy flamenco caves of southern Spain, most notably in Granada. You won’t even see any microphones or amplifiers—every aspect of the performances is done according to the most traditional standards. The performers themselves are world-class artists with international renown, so you can be sure you’re seeing the good stuff. El Tablao de Carmen truly does its namesake justice. It’s named after Barcelona-born flamenco dancer Carmen Amaya, one of the best in the world. The venue boasts a unique location inside the Spanish Village (Poble Espanyol) on Montjuïc Hill. From the moment you walk in, you’re in for a true Spanish treat. 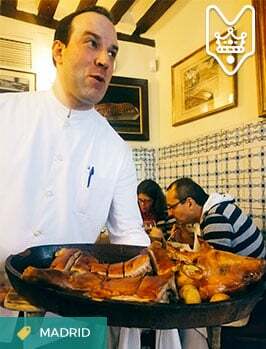 The atmosphere at El Tablao de Carmen feels like you’re at a fun, exciting celebration in one of Spain’s quaint small towns. Tapas are everywhere, wine is free-flowing, and music and dancing by world-class performers make the experience complete. I love being close up and watching the dancers’ feet. 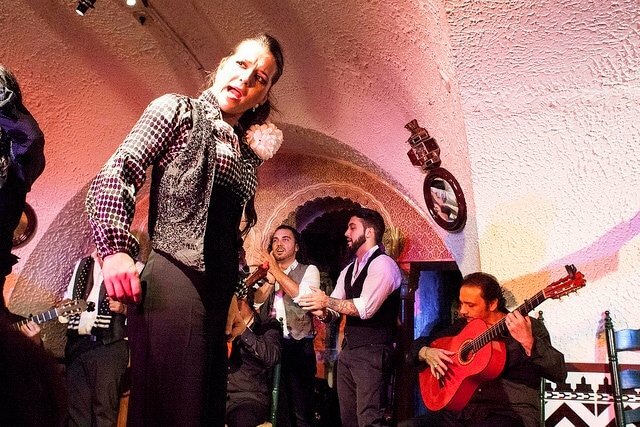 As one of the leading venues for flamenco in Barcelona for nearly 60 years, Los Tarantos won’t disappoint. The sleek, modern vibe here is quite different from the Andalusian-style decor at other places. However, the art itself stays true to traditional flamenco in every sense of the word. As a bonus for music fans, Los Tarantos’ sister venue, Jamboree Jazz Club, is located right downstairs. After the performances end for the night, the two become one vibrant, eclectic nightclub where you can dance until dawn. Read more: Check out Devour Barcelona’s guide to live music in Barcelona, as well as everything you need to know about the city’s iconic nightlife and party scene! 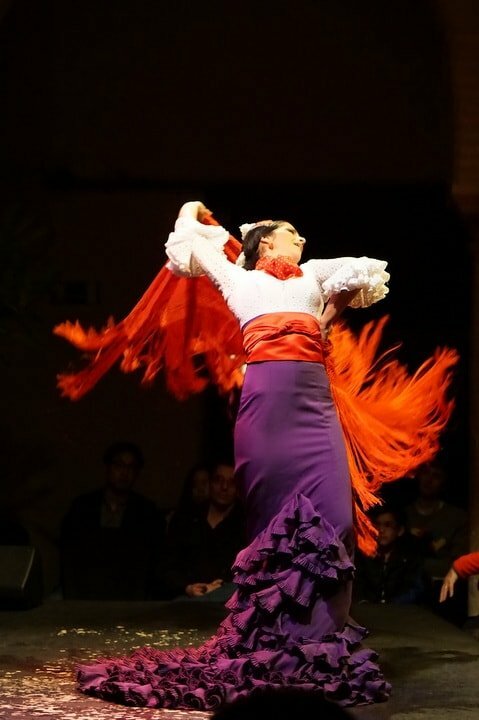 Part of the fun of watching flamenco is experiencing the combined passion of music and dance. 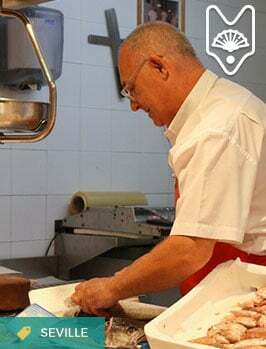 23 Robadores offers a completely different experience from larger, more touristy venues. This no-frills venue features flamenco several times a week. Sometimes there’s dancing, but many times they simply showcase talented flamenco singers and guitarists. These incredible performers often get overlooked behind the fancy footwork. The place does get pretty packed, so be sure to show up early and secure your spot. Once inside, you’re in for a treat. The local, underground atmosphere here couldn’t be more authentic, and the performers are truly one of a kind. 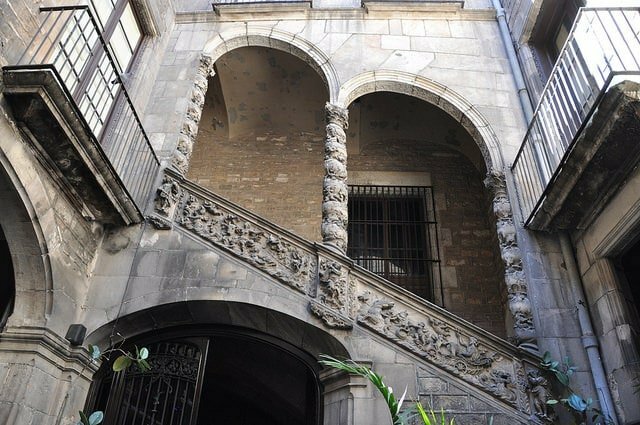 Located inside a stunning Baroque palace in the Gothic Quarter, it’s worth walking by Palau Dalmases to marvel at the architecture alone. However, inside this impressive building, you’ll also find some of the highest quality flamenco in Barcelona. The venue’s unrivaled beauty makes for a one-of-a-kind setting as you enjoy the flamenco performance. The performers are among the best in their league and have earned international prestige. As a bonus, you can also enjoy a free drink included in the price of your ticket. 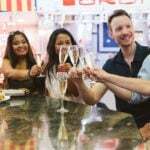 Read more: After seeing the best flamenco in Barcelona, don’t miss Devour Barcelona’s guide to Barcelona’s best bars. 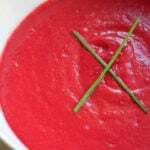 If you’re hungry, check out Lauren’s complete Barcelona gastro guide! 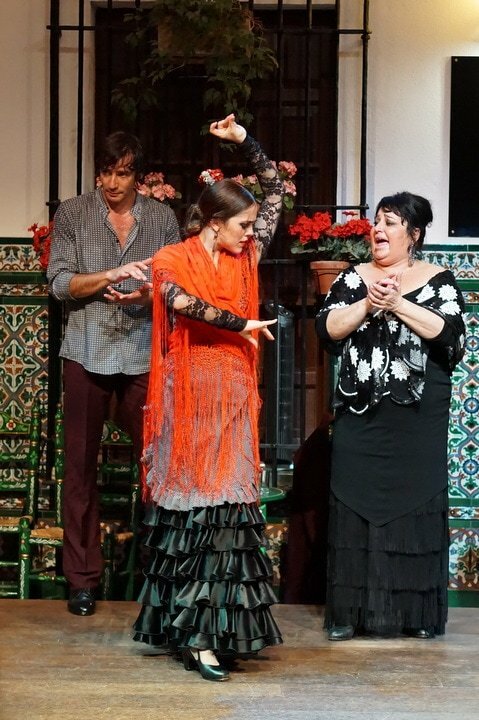 What’s the best flamenco performance you’ve ever seen in Spain? Yet again a well researched and informative post. I’m a huge fan of flamenco. I live down in Seville and have seen various live flamenco performances. I’d love to get a chance to see flamenco in Barcelona too. I guess it must be different in some way, but until you’re there it’s hard to know. 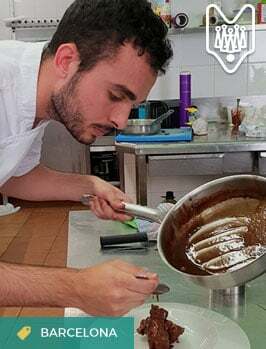 I’m hoping to do a similar post soon about tablaos in Seville too, so thank for the inspiration.